Elegant Enamel filled Sterling Silver Menorah pendant has enamel filled swirl accents by its base. 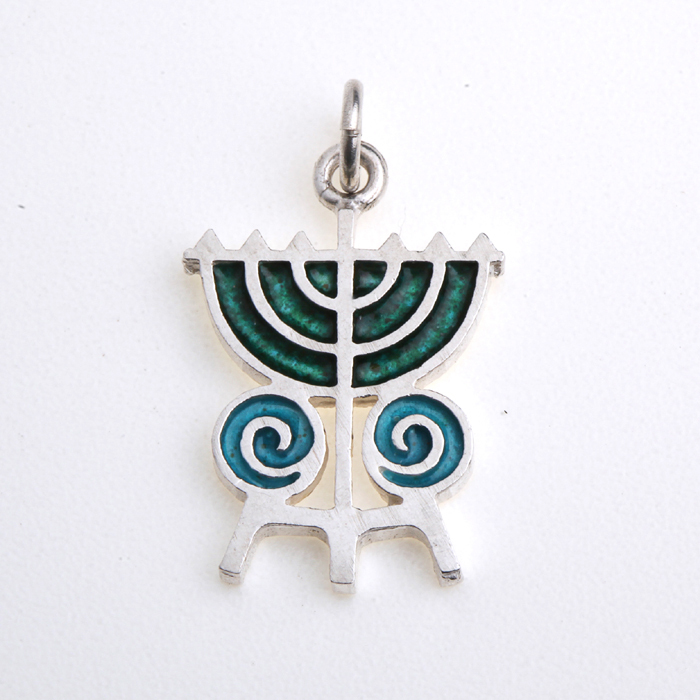 Sterling silver Menorah pendant outline is filled with green speckled Enamel. Sterling Silver outlined swirls are filled with blue speckled enamel at each side of the menora base.